Small Business Saturday falls on the day after Thanksgiving during the beginning of the biggest shopping season of the year. 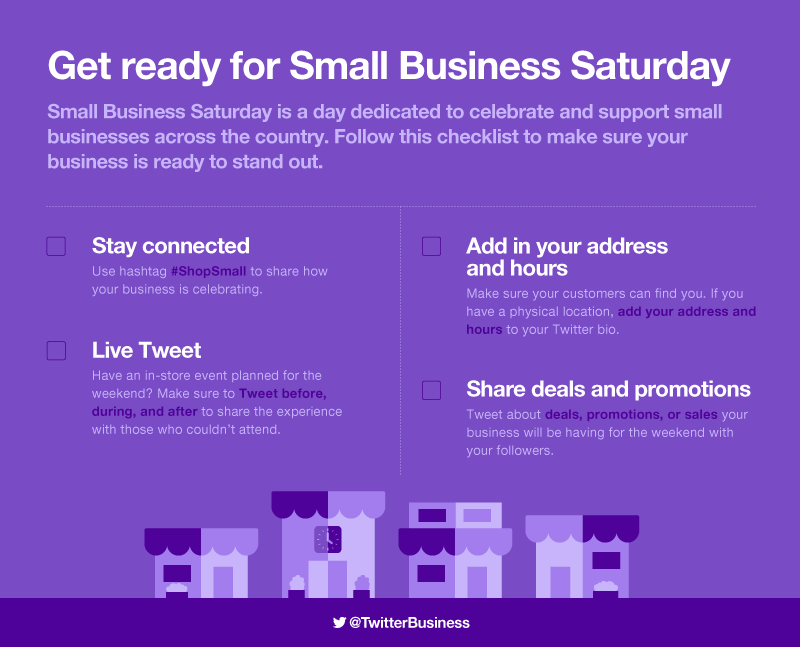 For small businesses, this is a critical moment to bring in foot traffic, create buzz, and generate sales. We've put together a checklist to help your business make the most of this busy time of the year and have a successful #SmallBusinessSaturday on November 25th. Want more tips? Follow @TwitterBusiness or check out the basics on how to create a campaign.